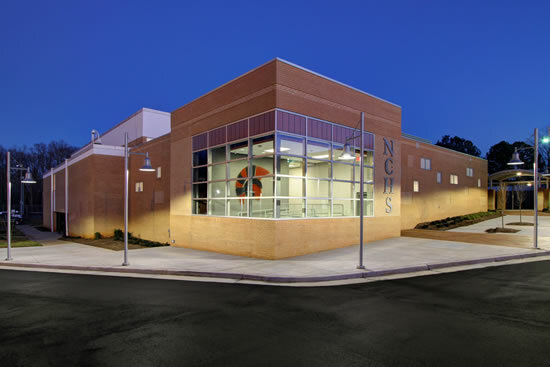 Following a comprehensive feasibility study that included an analysis of the existing conditions, multiple design options with presentations to the Board of Education, and budgeting of several options, a solution was selected and Morris-Berg Architects completed design of this complex renovation and addition project. Work includes construction of a one-story locker room addition immediately adjacent to the existing Gymnasium. The addition allowed lockers, showers and support spaces to be relocated out of the basement area that was not ADA accessible. The addition also provides aesthetic improvements and opportunities for image upgrades within view of the main entrance. 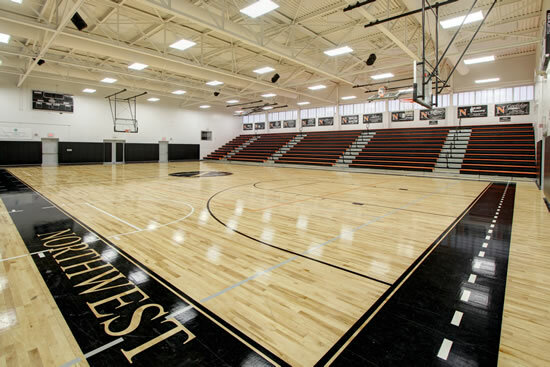 Renovations to the existing spaces include abandoning the existing basement locker rooms to allow lowering of the bleacher seating and expansion of the playing court floor. A multitude of accessibility problems and building code issues were also resolved with the renovations. All work was safely completed while the Gym remained occupied through the basketball season.